House, C16, remodelled in the C17, extended and remodelled in the C18 and C19. roof over the front part. There is a C17 doorway into the left hand side. copy 3-light casement with 8 panes per light and similar window over. left and right are C18 3-light casements with original crown glass and inner stanchions possibly for earlier leaded glazing. Copy casements over. including chimney pieces in the front chambers; dog-leg stair with rectangular balusters; panelled doors and moulded ceiling cornices. Roof structures not inspected but they retain some C18 or earlier work. C19 cast iron barrel pump with its original cranked handle. 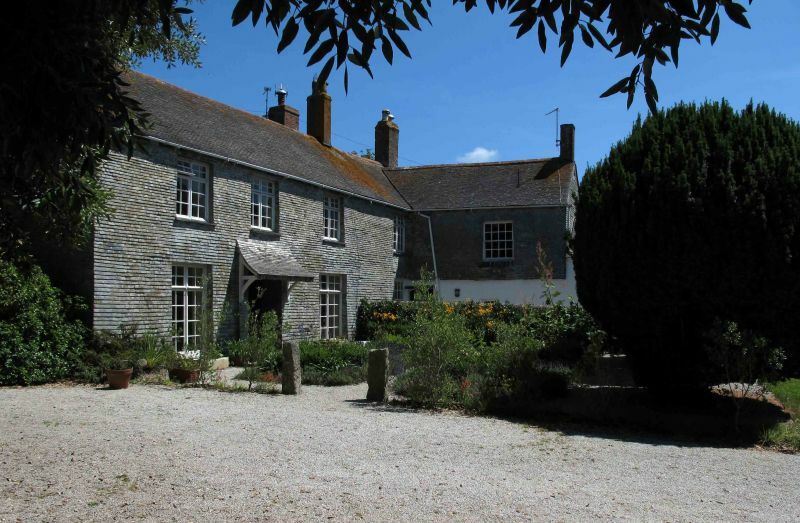 Penpol has an interesting history: owned by the Godolphins from the C16 until 1639 when sold to Anthony Honeychurch of St Erth; in 1732 in the hands of Rt. and trial but he was found not guilty. Since 1921 Penpol has been owned by the Ellis family. Historical information provided by Hayle Town Council from notes by Major Tom Ellis.